Sir Roger Moore may not have been my favorite to have donned the tux and asked for his vodka martini to be “shaken, not stirred”, but I always appreciated his work as OO7. Not only for having carved out a distinct manner with the role in his, the longest and uninterrupted, run as “Bond, James Bond“, but the first among this select group of performers to leave this mortal coil after his term. I’m sure it’s not a “first” any in that band would have sought, yet it added to what made Mr. Moore so special. Let’s be honest, being granted a “licence to kill” onscreen remains a double-edged sword. Fame, money, and a built-in box office, on the one hand. A rivalrous fan base for previous torchbearers in the role who snipe your every move, and on top of that, forever pigeonholed in movies, from that point forward. If lucky enough to be offered “other” featured roles, that is. Perhaps, it’s a bargain, but it can’t be a comfortable one, especially if you’re a charismatic actor with more to offer1. 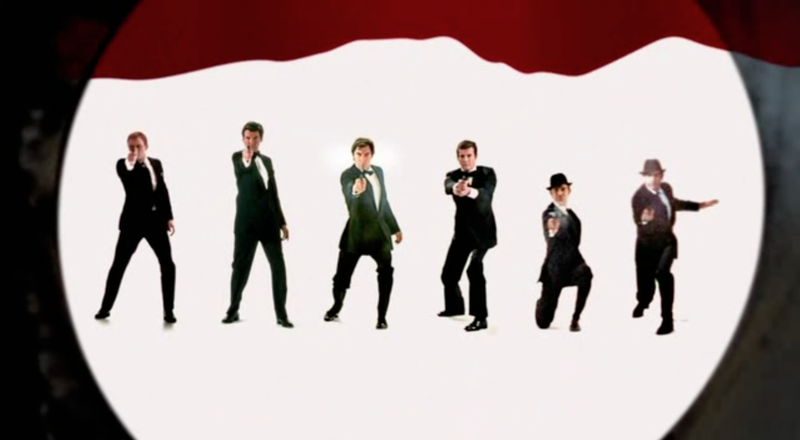 Maybe why every actor who’s ever had the chance to perform the “famous gun barrel pose” has gone on to an anti-Bond role sometime after in their career. Par for the course. Arguably, Sean Connery’s was Zardoz, for George Lazenby it was Universal Soldier; Timothy Dalton’s dastardly villain take for The Rocketeer, and Pierce Brosnan in tight briefs and boots for The Matador. Hell, maybe Daniel Craig’s Joe Bang in Steven Soderbergh‘s upcoming Logan Lucky will finally add his to the list. For the definitive Simon Templar of the mid-60s TV The Saint, Moore’s turned out to be the under-appreciated “ffolkes” (originally titled North Sea Hijack)2, and Bond fans all the better for it. Brief Synopsis: A group of men posing as reporters has seized a North Sea supply ship, and rigged it, along with the two oil production platforms on its route, with high explosives. Then, threaten to explode them, if the British government does not meet their demands for £25 million. As the insurer of the rigs, Lloyd’s of London proposes a civilian, an eccentric anti-terrorism expert who has anticipated terrorists might do such a thing and has a plan for it, be sent, along with his team, to stop them. Out of all of the counter-OO7 performances mentioned, ffolkes may well squeeze passed the likes of The Matador and The Rocketeer as my favorite. Specifically, for its sheer directness at upending the persona in general, and Moore’s characterization, specifically. Not so much a parody à la the underrated Our Man Flint (1966), but one of the better send-ups of that consummate screen identity as depicted through an eccentric British adventurer with a disdain for women and a fondness for cats3. Perhaps, what failed to deliver at the box office back then why ffolkes holds up for those discovering this too often forgotten gem today — it centered on character instead of action scenes. Those this had, in spades. No doubt, the studio distributors attempted to hedge their bet by tailoring the film’s ads away from the lead’s crankiness to that of Moore’s MI6 personality. Examine the poster up above, if you’re not sure. “ffolkes” with alluring women hanging off him and a champagne glass in hand? Not bloody likely, as the Brits would say. Looking back, the film was ridiculously loaded with a superb cast. The great James Mason may have been slumming, but his droll deliveries and incredulity were pitch perfect as the Admiral tasked to accompany ffolkes on taking down the bad guys. Matched by another fine actor, similarly typecast, Tony Perkins (Psycho) portraying the villain of the piece. In truth, the initial Moore-Perkins facedown is shadowed with the shackles both faced in careers dominated by a distinct movie role. Yet, that’s what made this effort and production work well, and on multiple levels. Telling an entertaining story of high-seas hijinks while poking fun at a well-known character of books and film. The latter amping the longstanding complaint of hedonism and misogyny James Bond endured almost from inception to a comical extent. The glee on Moore’s face when uncapping and enjoying a bottle of Scotch, in the most straightforward “neat” fashion, worth the price of a movie ticket alone. The blatantly obvious misogyny of the lead character done to a camp height that not only mocked his derision toward women but cleverly highlighted the importance of each of the movie’s female characters. The open secret, without the Margaret Thatcher-styled Prime Minister (Faith Brook), or the put-upon administrative support of Sarah (Jennifer Hilary), and undoubtedly the help of the mistaken shipmate Sanna (Lea Brodie), ffolkes’ bold plans either scuttled or foiled completely. Not bad for a British thriller a few thought had too little action, which also was a favorite of Roger Moore’s. ffolkes rounded out by a few Bond fraternity among actors and crew. Particularly, David Hedison joining his friend Roger Moore in another jaunt (he played Felix Leiter with him in Live and Let Die (1973) and Licence to Kill (1989) with Bond successor Timothy Dalton). George Baker worked on The Spy Who Loved Me (1977) and On Her Majesty’s Secret Service (1969). SFX technicians John Morris and John Richardson and stuntmen Martin Grace, Richard Graydon and George Leech contributing, too4. Though not a classic in the true sense of the word, this remains a wonderful change-of-pace movie that didn’t take itself too seriously, yet managed to bring smiles to Roger Moore and Bond fans alike. Based on the novel Esther, Ruth and Jennifer by British screenwriter Jack Davies5, this one of the better actioners by journeyman director Andrew V. McLaglen (Shenandoah, The Devil’s Brigade, McLintock!) and the second of his three to feature the then current OO7 in unBondian roles6. Whether the late actor was the Bond you grew up with, or not, this joyfully persnickety pastiche on celluloid is just the ticket to celebrate the man who filled out the tux, proudly held that Walther PPK, and was “Moore” in every good sense of the word. I remember seeing this on cable in the early 80s. Great movie! Very underrated. Nice review, Michael. Moore was “my” Bond as he was in the role when I started going to the movies in the cinema – The Spy Who Loved Me – was the first 007 film I saw on the big screen – and he’s always had a special place in my affections for that reason. Even during his peak Bond years Moore had some very entertaining parts like this. I remember liking the movie a lot at the time and I actually saw it twice in the cinema, which isn’t something I did very often then, or now for that matter. Moore plays it all perfectly tongue in cheek and the rest of the cast, mostly, go down the straight route. The result is a good adventure thriller with enough comic touches to ensure it never gets too heavy. It’s a lot of fun. Oh, and thanks for the link in there! As usual, you are inspiring a rewatch. I’ve been a big fan of this movie ever since I saw it in the theaters as a kid. I agree with your assessment that it didn’t do well at the box office because people were really expecting a “big-budget” action flick. Frankly, the fact that it didn’t that is what makes it a great movie. On my blog, I have a list of what I consider 225 essential films, and this one makes it because as you said, it is the best in the “anti-Bond” genre. How have I not heard of this? What a cast. I thank you for bring to my attention gems I never watched or heard of. Thanks, Michael! I’d got it into my head that Richard Harris topped the bill on North Sea Hijack. Instead it’s the late GREAT Roger Moore. Hadn’t realised it was otherwise known as Ffolkes! I’ve seen Sea Wolves with Gregory Peck right? I will have to check this out.